Don’t throw away the old Mobile battery. The high efficiency Lithium Ion battery can be reused to make a Mini Power bank useful as a Travel Mobile charger. 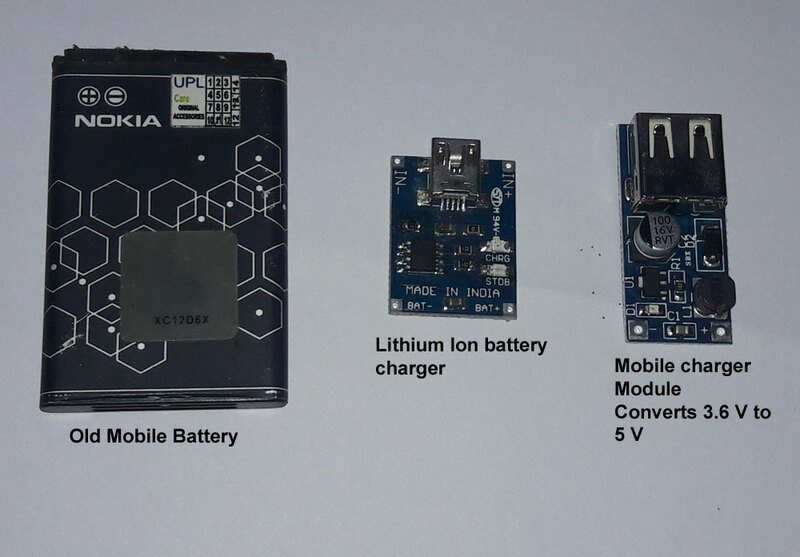 For this, you needs a Lithium battery charger Module and a Mobile charger module in addition to the battery. Both modules will cost around Rs.100.